A breathalyzer test is only one way for a police officer to determine drunk driving. There are a variety of other field sobriety tests that can be used to see if a driver is driving under the influence. 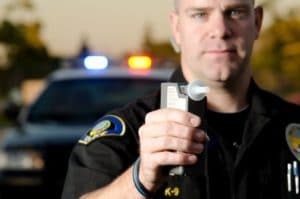 Laws in some states allow a DUI suspect the right to refuse a breathalyzer test during a traffic stop without penalties. However, if a suspect refuses chemical testing of breath, blood, or urine after an arrest, he/she can face penalties including jail time and license suspension. Most states impose automatic loss of license because they state that drivers accept “implied consent” responsibility for submitting to a breathalyzer test when they apply for a license. A second-degree DUI may result in vehicle forfeiture. In some cases, chemical tests results may be unavailable due to testing equipment failure or malfunction. If a judge rules that a suspect’s test results are inadmissible during trial, the prosecutor will not have access to chemical test results. In most cases, this occurs because the suspect’s DUI defense attorney has convinced the judge that the suspect’s constitutional rights have been violated or the test sample was not collected in compliance with state or federal procedures. If a DUI suspect challenges the admissibility of a chemical test, a hearing is held prior to trial. If police find evidence of alcohol in the car during a traffic stop, circumstantial evidence can be used against the suspect in court. Statement of admission to the police officer like “I had a few beers” or “I fell asleep at the wheel” can also be used as circumstantial evidence. Even if a suspect’s chemical test results are not available to the prosecutor, the suspect can still face DUI prosecution and conviction under different charges. Under “DUI less safe” laws in some states, the prosecutor only has to prove that the defendant drank alcohol and “drove less safely” as a result of alcohol consumption.